Soca valley lies on the western side of Slovenia and it is with no doubt one of the Slovenia’s highlights. I am sure you’ll be inspired by scenic alpine landscape, crystal-clear Soca river and snow covered Alpine peaks. Living in Soca valley most of my life I am day by day and month by month amazed by its natural pearls, rich traditions and culinary local delights. A wide diversity of walking trails makes walking and hiking one of the most popular spare time activity in Slovenia. Take a short morning walk to the beautiful waterfall, hike popular Alpe Adria Trail or recently marked Walk of Peace. 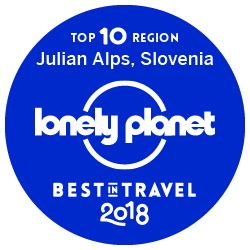 If you want to reach the sky, take more demanding hike to spectacular Julian Alps. Walk as the locals do! Desperate to take a moment … or many of them just for yourself? Escape a city hustle and bustle and find a perfect peace. What I like the most in Soca valley is that you can find a remote place beside a turquoise Virje waterfall, on the charming meadows of Razor pasture or in high-mountain peaks only for yourself. I mean JUST FOR YOU! Read as well where to cool down in Soca valley. Far best way of discovering the Alpine pears of Soca valley is by indulging in typical local delicacies. 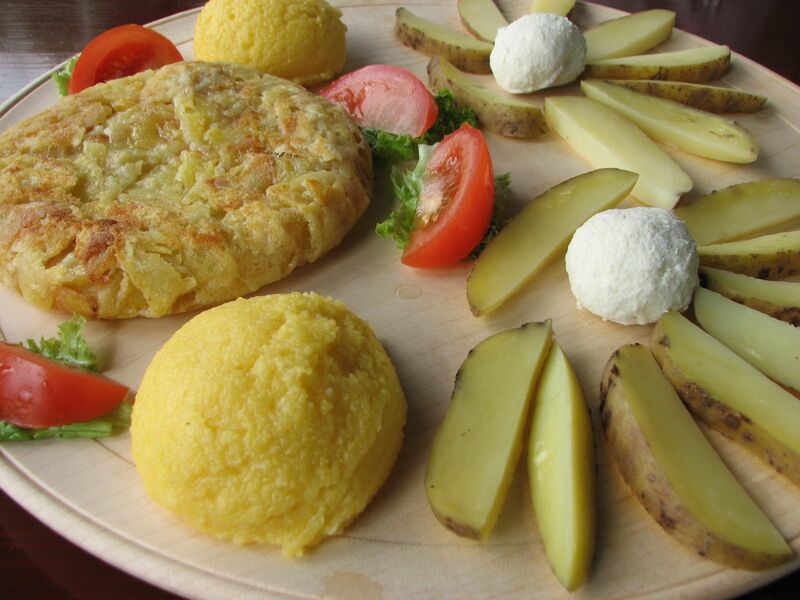 Would you like to dine with locals and taste potica? In Tolmin you can taste Tolminc cheese or shepherd’s dish called frika, in Bovec area eat Bovec cheese, čompe and krafi and, last but not least, do not miss kobariški štruklji dumplings in Kobarid. Would you like to dine at one of the world’s best chefs in the world? It is simply possible. Book a brand new tour Eating your way through Soca valley. 4. Meet the local know-how! Soca valley (especially the Upper Soca valley) is one of the least populated areas in Slovenia. But you will be surprised by extremely warm-hearted and hard-working people. By knowing them you get closer to the countryside and their local way of life. Learn from a beekeeper, herbalist, cheese-maker, wood master or a photographer! Listen to birds singing or bees buzzing, taste healing water from the mountain streams, breath fresh Alpine air, carefully touch the wild flowers in the only alpine botanical garden in Slovenia and observe the mighty Boka waterfall. Have you taken an amazing photo of a stunning sunrise yet? Stroll down the village streets and be part of Drežnica carnival village celebration. Drežnica is a charming little town close to Kobarid. Why is Drežnica carnival so special? Let me list some of the reasons: it happens once per year on the Shrove Saturday, only unmarried boys can be part of it, authentic village atmosphere, all day long event, … So, are you coming? From below zero to +35°C. You can rock round the seasons clock! White alpine peaks, colorful autumn tree leaves, summer refreshing by the riverside and rainbow like spring meadows. Which of them do you fancy the most? Need a place to stay in Soca valley? Check Herbal Rooms*. You simply cannot find the river that is more eye-friendly and relaxing than emerald Soca river. The real beauty queen. Rarely can you find available picnic spot on the banks of this beauty in the summer time. No Photoshop corrections needed after taking photos of this natural gem. Did you know that Tolmin is an Alpine town of 2016 due to the efforts made in the field of sustainable development? Congratulation! If you want to get 5 local tips where to go around Tolmin, feel free to subscribe to Slocally news. Last but not least, read a blog post how to get to Soca valley.